Cave of the winds mountain park in Colorado springs is million years old though discovered only in 1881 by Pickett brothers. Later, electricity is provided inside the cave allowing it to public. 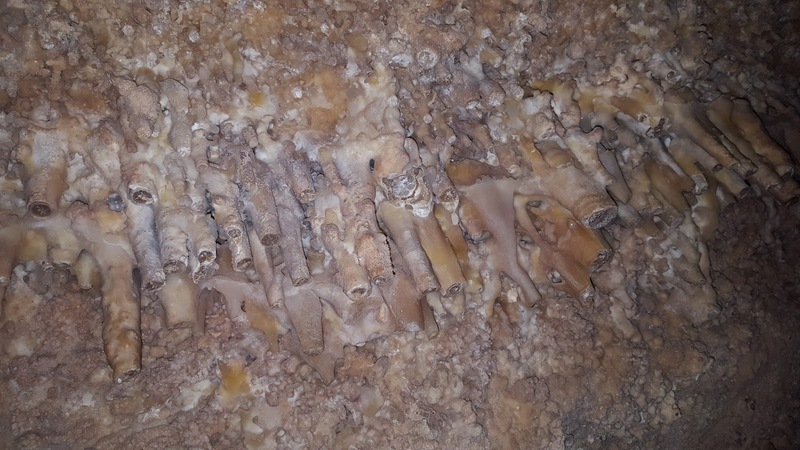 Tours are conducted every half an hour for tourists showing the limestone formations and explaining the cave geology. One most popular and basic tour is 'Discovery tour' for 45 mins. This tour charges $21 for adults and $15 for kids between 5 to 13 yrs. It's free for below 5 years. 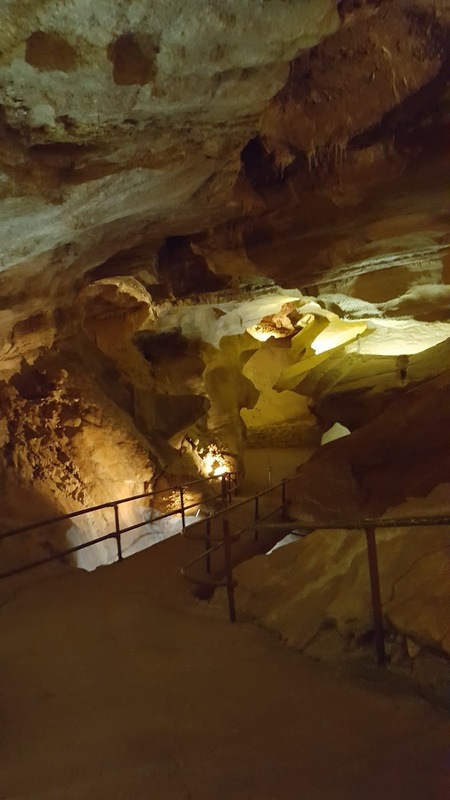 These caves are one of the oldest attractions in Colorado. 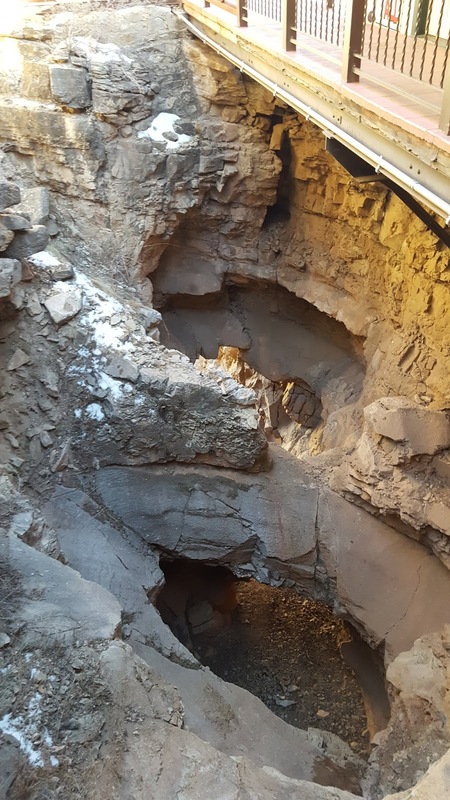 The cave features 10,750 feet of surveyed passages mostly which are open to public. There is a local legend that both Apache and ute native Americans beleived that these caves are home of a great spirit of wind. Thus, it got the name "The cave of winds". 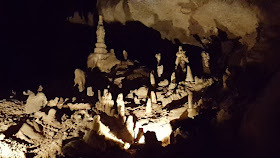 The cave has many beautiful and unique limestone and stalcite formations. The caves also have many adventure rides like bat-a-pult, wind walker challenge and terror dactyl. 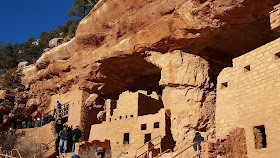 One more attraction near to caves is 'Cliff dwellings'. This place has Anasazi ruins dating back to 1000 years old. 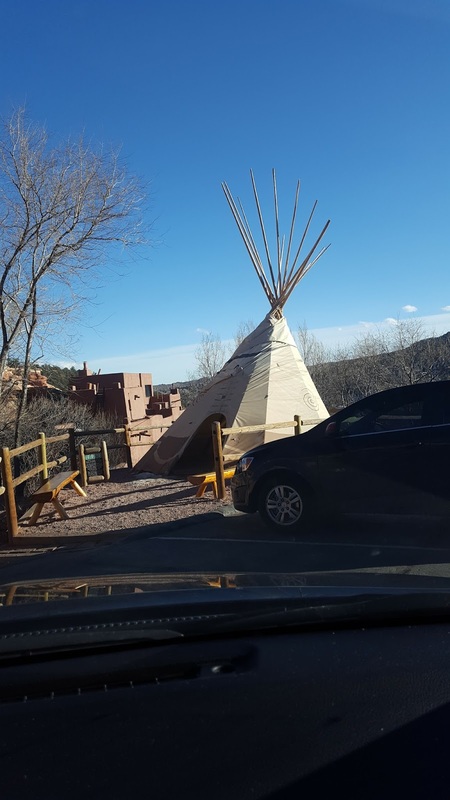 This 40 room site was originally located near Mesa verde and Dolores which is shifted to Colorado springs and preserved as a museum. 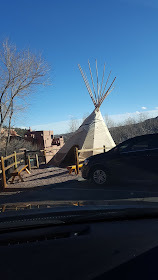 This place has a museum showing the pottery, jewellery and artifacts of ute native Americans. It also has a souvenir shop. Entry is $10 for adults and around $7.5 for kids below 11 yrs( kids under 3 - free). Do you like caves and visiting ruins of a civilization? Then, you might love these two places. I love caves and I am fascinated by ruins. Those structures look fascinating, and I would love to see them! Thank you for the great photo essay. 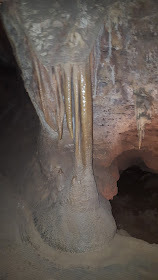 I remember seeing these (stalactites and stalagmites) in classes and text books. Probably in TV shows. 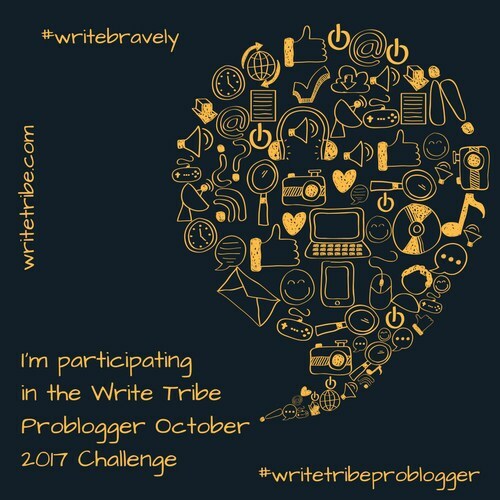 Definitely not like this in blog pics. Oh my god what a marvel of nature. I had no idea about these caves; thanks for the share Ramya! 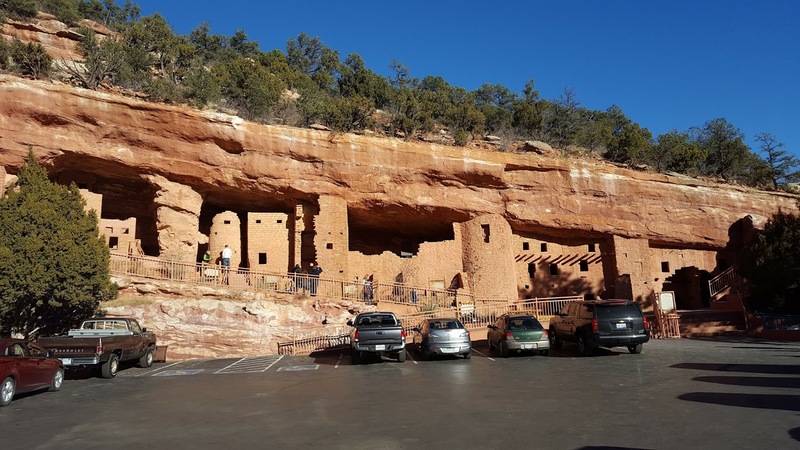 Though I am not too fond of caves and visiting ruins of a civilization, your post makes it sound interesting.The pictures are lovely and the history fantastic. I find caves so very mysterious. I visited the Ajanta Caves here in India long back and it was fun. 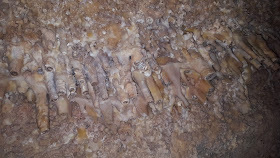 Oh and stalactites and stalagmites are fascinating. The caves look interesting! Loved the pictures! These caves remind me of the Ajanta and Ellora caves in Maharashtra, where I used to go for picnics during school. There they have created statues in rocks and paintings on walls. 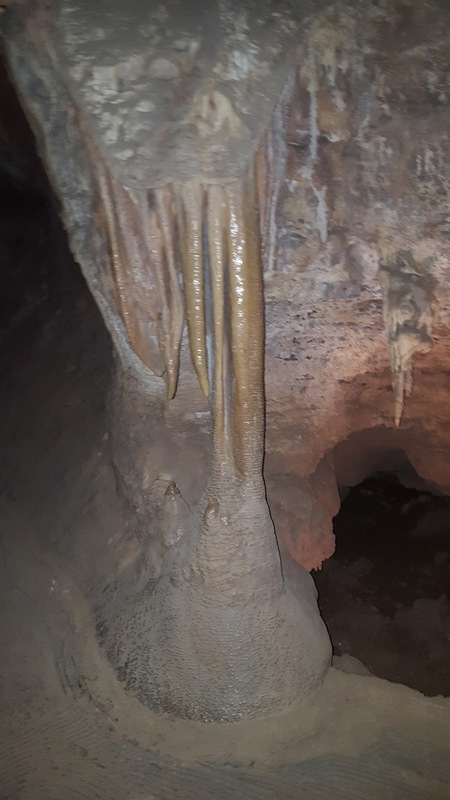 Wow, look at those stalactites! I would like to visit this cave someday. Those ruins look beautiful. Thanks for sharing, Mahathi. Ruins fascinate me a lot and the same is with caves. I’ve been fortunate to see a few in India but you know the interest never dies down. I’d love to visit Colorado. Thank you for the informative virtual tour. DH is fond of caves- he keeps talking about the ones in the States, so now I feel I've been there too! We went to one in UK on our honeymoon.